Assignment:– Perpetual were tasked with exclusively recruiting for a variety of manufacturing based roles to function within a brand new manufacturing hall following recent competitor acquisitions from SCA. The candidates required had to come from a manufacturing or FMCG based background and needed to have industry relevant qualifications to back up their experience. 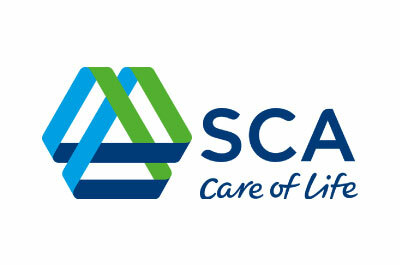 As a managed campaign it was crucial that we set timescales for delivery on each individual role and worked closely with the Management Team at SCA to ensure we sourced and attracted the best candidates to ultimately take the business forward. We needed to match suitable candidates on both skills and cultural fit. Our Process:– Managing a number of roles at any given time is always a fine balancing act to ensure each role is given the time and dedication it deserves. Internally we decided on a set process we would follow to ensure we were able to deliver the same quality based approach to a high number of vacancies. This involved a number a site meetings with SCA management to define the crucial aspects of each particular position and the type of people that would fit those positions. Following those meetings, a key account manager was assigned alongside a dedicated team of rescourcers to ensure delivery could be achieved. We began by using a variety of methods to attract and speak to as many suitable candidates as possible for the vacancies in question. Following the initial telephone screen we moved to focus on detailed interviews with each candidate that we felt may be suitable for SCA as a business. Following the interview with Perpetual we then generate and submitted a shortlist of candidates that we believed were at the level required to achieve and exceed within the job. Outcome:– Working strategically we initially focused on an Operations Leader vacancy ensuring we found a candidate that had both the willingness and ability to take the next step into a plant management role as and when the opportunity arouse. Using this model we then continued to recruit for a full pallet of Shift Managers, Maintenance Engineers and Process Engineers. Again we were conscious of recruiting a blend of technical staff and using our stringent approach we managed to select a number of candidates with varying levels of ambition to meet the needs of SCA.